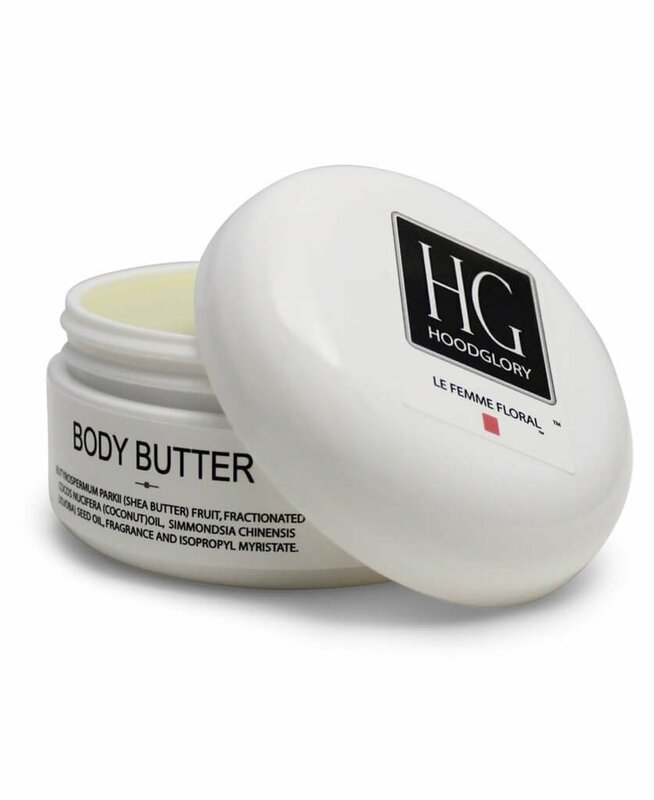 4oz Hood glory Body Butter softens and fragrances the skin. It is a highly absorbable salve for all skin types. ingredients: butyrospermum parkii (shea butter), fractionated cocos nucifera (coconut) oil, simmondsia chineses (jojoba) seed oil, fragrance and isopropyl myristate.